Hello everyone! 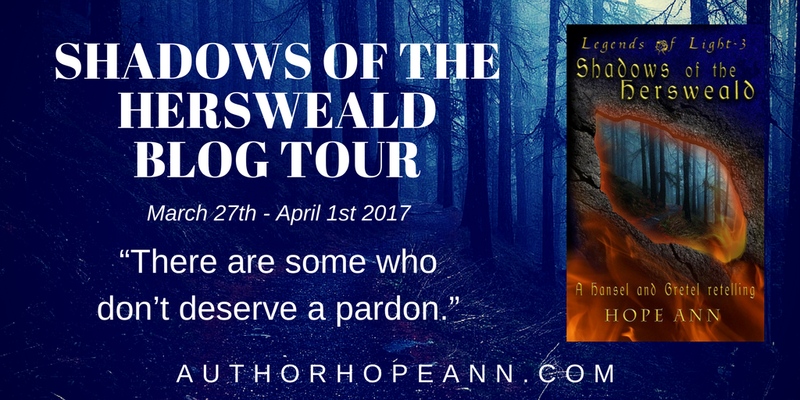 Welcome to a blog tour! 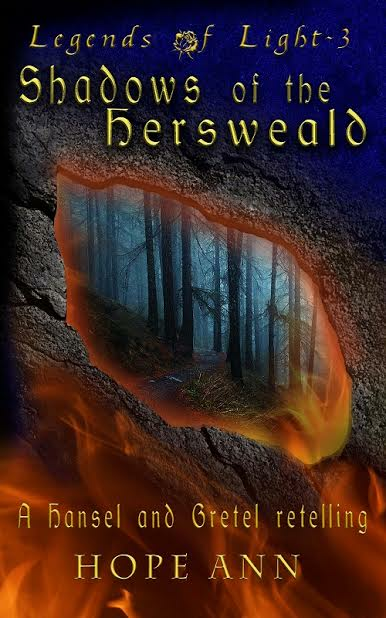 Shadows of the Hersweald is the novella I'm showcasing here today. I got to read it and review it (check out my review here), and IT'S JUST SO COOL. It's a Christian fantasy fairy-tale retelling of Hansel and Gretel. And it's a novella. It takes half the time to read but is seriously just as amazing. And I've been given the privilege to grant you all a sneak peek of the novella! Mathias’s steel-blue eyes slipped over Haydn, taking in his dark clothing and pausing for a fraction of a moment on his sword. Haydn tensed. It was likely Mathias knew of his past alliance, but the red and black leather twisting about the hilt of his blade and weaving up his scabbard was not a design found in the Prince’s army. Haydn’s fist clenched, and he clapped his arm behind his back. A cool hand slipped over his fingers as Gorawen pried them apart, placing her hand in his. Here's a bit about the wonderful, talented author, Hope Ann. (all images and graphics are from Hope Ann). Go check out Shadows of the Hersweald! Until then, I'll be back on Saturday! Have you read any of Hope's novellas? Have you done any blog tours before? 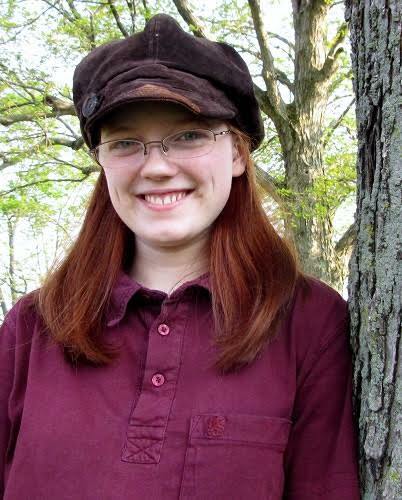 Do you like fantasy and fairytale retellings? Great post, Audrey! This book sounds amazing, and you know I LOVE fairy tales ;) Not to mention Hansel and Gretel are like my favourite fairy tale. The fact it's a good Christian book is awesome. We seriously need more of those. Thanks for this post and introducing me to this book! YESSS. GO READ IT. I'm sure I'm the millionth person to tell you that about a book xD YOU GOT THIS TBR. Great post! is it just me or does seem like when you take part in a blog tour for the first time it just feels awaked, anyways you did a Great Job! I read it! (still need to go leave a review on Goodreads) it was great! I had no idea what to expect but it was a fun adventure! Me neither! I'm not overly familiar with Hansel and Gretel, but was very impressed with this retelling. I'll be sure to check out your review!